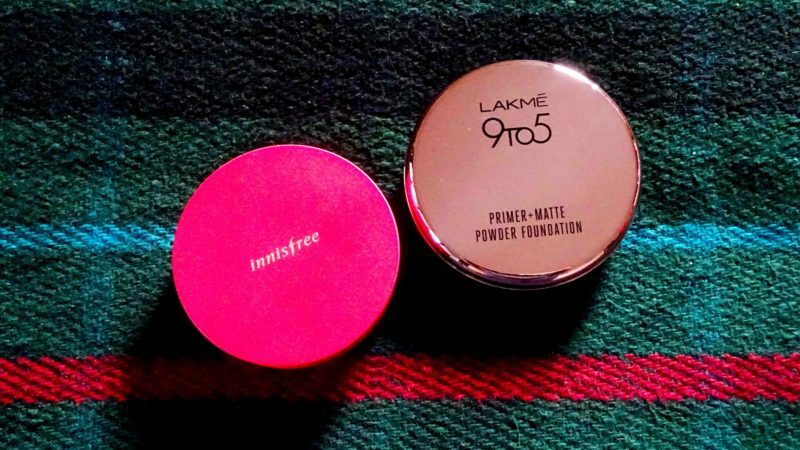 The one for greasy gals: Lakme 9to5 Primer + Matte Powder Foundation* (I have the shade Silky Golden) -Rs.600. This option is a one of a kind. A light veil of coverage paired with just the right balance of skin-like texture but without too much of a glow – I’m not really sure how it does it. Now this isn’t matte matte, though it’s the most oil-controlling I’ve found. The secret is to apply this over their highlighter (shhhh!) 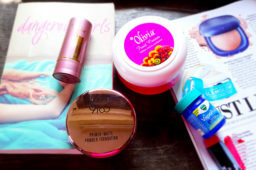 and for those with an oily complexion this is the one for you. There’ll be a full rave on my YouTube channel soon. So stay tuned if this has wet your whistle. 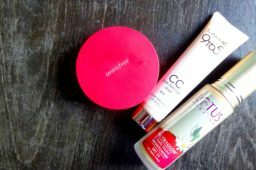 The one with coverage: Innisfree Longwear Cover Cushion Foundation* (I have the shade N27) – Rs.1550. 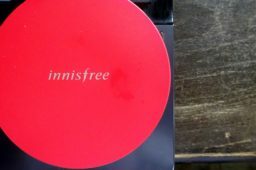 When it comes to compact foundation, leave it to Innisfree – they know what they’re doing. 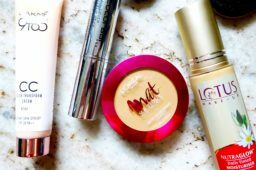 Their range features a whole wardrobe of them, but my favourite is the Cushion formula. 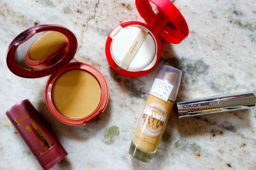 Not only do I find it to have the most longevity out of the 2, it also has the most coverage; making it a possible shopping list addition for compact foundation newbies wishing to dip their toes into the light-er coverage base pool. There’s also a tonne of shades. See? Told you they have you covered. In terms of a more purse friendly option – I’ll report back on that one. Though L’Oreal Paris True Match Genius 4-In-1 Compact Foundation is the best product I’ve found in the aisles. But take your pick from the above – they’re all good ones. Perhaps you’d like a battle of the BBs? Now that’s a whole different story.